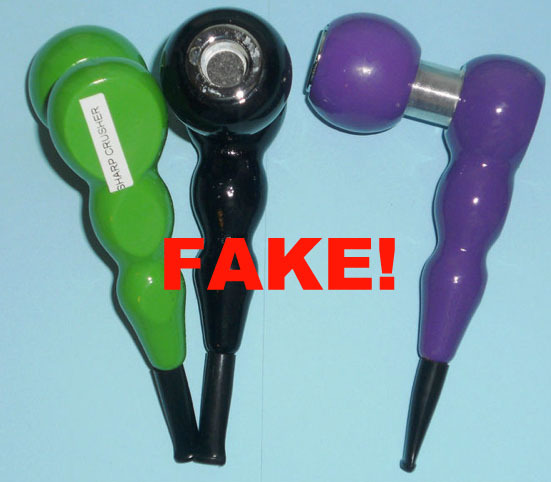 We mentioned a few posts ago that Counterfeit Vaporizers are becoming more and more popular. A company based out of China that produces fake Sharpstone grinders now is producing Fake Vapor Genie Vaporizers as well. We tried to buy one of these fakes off of Amazon but they were quickly removed. We talked to one person who bought these “Genies” and noted that it was slightly smaller then the real Vapor Genie, and made of pressed wood. Another common Vapor Genie knock off known as the Vapor Buddy has been tested and proven to contain lead in the paint. Be sure you buy from a seller you trust, and don’t ever be afraid to email a manufacture to ask them about a specific seller. We all want to get the best prices we can find, but it is always safe to say if a deal sounds too good to be true, it probably is.